This workshop is for forward thinking agency leaders, responsible for revenue growth or customer delivery who want to ensure that they and their organisation stay ‘future-ready’ in the face of changing client/customer needs and emerging new agency models. This workshop will look at the ‘why’ and ‘how’ to embed business model innovation and agile working into the organisation to stay fit for the future and create continuous new value at a strategic and executional level for your customers. Examples will be drawn from the consumer products world including a discussion on the merits of new agency models emerging in US and UK. This is a learning and participative session where you will also have the opportunity to reflect on the challenges facing your own business and the need for innovation and change. You will also take away a set of practical next steps on how to build a growth-led innovation engine in your business in a relatively short space of time. To make the workshop more actionable it may be helpful for two senior leaders from your business to attend so that you can discuss the issues relating to your organisation together and build momentum for change and growth when you get back! Anne has 25+ years experience as a global business leader. Her specialist subjects are; developing disruptive growth strategies, building a brand led innovation future and rapidly embedding a results driven innovation culture. Prior to co-founding her own company in April 2018, Anne previously worked in the UK & US for global FMCG’s such as Mondelez, Birds-Eye & Johnsons & Johnson. 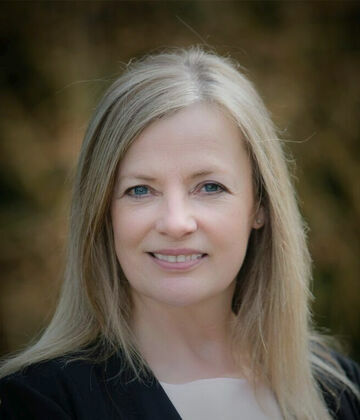 She is also a previous MD of Cadbury Ireland and is a current Growth Council member of Fulfil Nutrition. Anne is a passionate believer and practitioner in building stronger organisation connections between strategy, brand, culture, innovation and growth. Please note prices are exclusive of VAT and all bookings are non-refundable.